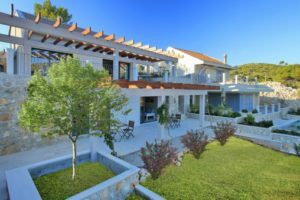 If you are looking for a spectacular villa with direct sea access, luxury design and peaceful surroundings, look no further than Villa Poppy - newly completed, the property is on three levels, located just 5 km from Korcula town. Villa Oceana is situated at the edge of the sea just outside the picturesque village of Sumartin on Brac - it is the most beautiful villa combining both modern and traditional decor in a stunning setting. Villa Zavalia is a simply stunning house in a breathtaking location on the sea edge with infinity pool and high quality interiors. This stunning property is set on the harbourside in beautiful Zaton bay - renovated just a few years ago to a very high standard, a lot of the original features are retained yet new technology has been embraced to give complete control via an Ipad of the lights, sound system and villa temperature. Stunning Villa Serena in Lozica Bay is the perfect place to get away and totally relax - Take a walk through fabulous Villa Serena where your every need has been thought of: walking down from the parking area you enter a large open area with a stunning marble staircase ascending to the bedroom area. The glorious Beach Villa is located in a select area of Dubrovnik - you will love this place because of its beautiful views, lovely interior, the ambience and sea edge infinity pool. When you think “Croatia”, this is this sort of beach you’re aiming for and this villa is right on that beach! Villa Corrine lies in the peaceful village Mirca, just 30 meters from the beach and the sea - it features a contemporary interior decorated with bespoke furniture, spacious outdoor areas, and offering fabulous views of the sea and mainland. Contemporary chic meets peace and comfort at Villa Sharma - set with a mountain backdrop yet with stunning views over Makarska and the Adriatic. Stunning Villa Zaglavar is set in a little bay, just 90m from the beach with its own mooring and within an easy drive/boat ride from Vela Luka - its modern, contemporary design allows light into every area and provides stunning sea views from most of the rooms. Set back from the beach in picturesque Slaldun Bay, this is a great location - only about a 15 minute walk from the Old Town of Trogir. Stunning Villa Secret Bay is set on the edge of Skrivena Luka (meaning hidden bay) - its open plan design focuses on luxury and space, with lovely views across the Adriatic. These modern villas are right by the sea edge and beach just along from a little harbour and little beaches. 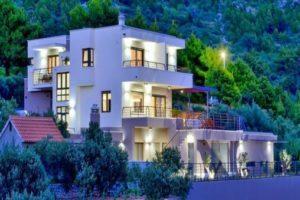 Villa Lotus is a lovely new contemporary-styled villa just 30m from Brzet beach near Omis - with 4 double en-suite bedrooms, 6 bathrooms, a gym, a mini children's play area and a design which maximizes the stunning views, the villa is perfect for a family holiday to suit all. 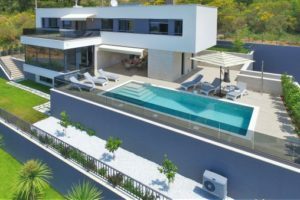 Villa Magnolia is a lovely new contemporary-styled villa just 30m from Brzet beach near Omis - with 4 double en-suite bedrooms, 6 bathrooms, a gym, a mini children's pay area and a design which maximises the stunning views, the villa is perfect for a family holiday to suit all. Villa Tiara is a gorgeous traditional villa constructed in 2014 from Brac stone with many touches of luxury - located close to Slatine, one of our favourite areas of Ciovo. Twin Villas can be rented together and are two beautifully presented villas situated in a quiet little bay near Zrnovo, just outside Korcula town. Villa Spring is a luxurious four-star villa built in 2018 and is sure to become a favourite with our guests - it sleeps up to 8 guests with four en-suite bedrooms. Super Villa Divine can be found in Divulje in a great location with stunning sea views and access directly onto a pebble beach from the garden - the villa and its furnishings are designed to a high specification. Villa Rubin is a little slice of heaven - this recently built high-spec, six bedroom, seven bathroom villa is simply stunning. Villa Nectara is a stunning new villa designed to high standards, close to a lovely sandy beach, just round the corner from Mlini Bay and a short distance from Dubrovnik Old Town. 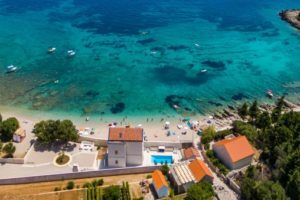 Touted as one of the most beautiful coastlines in the world right now, the Dalmatian Coast is the place for a Croatian Barefoot Luxury villa. So if you want beach access on your villa holiday this is the place to look! This section brings together all our Croatian Barefoot Luxury villas or very close to the beach villas so that you can just wake up and saunter over to your sun lounger by the sea... For the best Croatia beach holiday villa it is worth calling us as we know all the best villas and villa locations - get the inside track!